CANNES – The champagne flowed like the old days at the 64th annual Festival de Cannes as the venerable film extravaganza drew filmmakers and stars, and lots of buyers and sellers doing business. Harvey Weinstein said it was the best Festival de Cannes in 25 years and the trade papers reported a very busy Marché du Film. The Weinstein Co. got into the buying and selling fray along with a raft of indies such as Artificial Eye, Eureka, Kaleidoscope, Metrodome, Pathe, Soda Pictures and Windmill Lane. 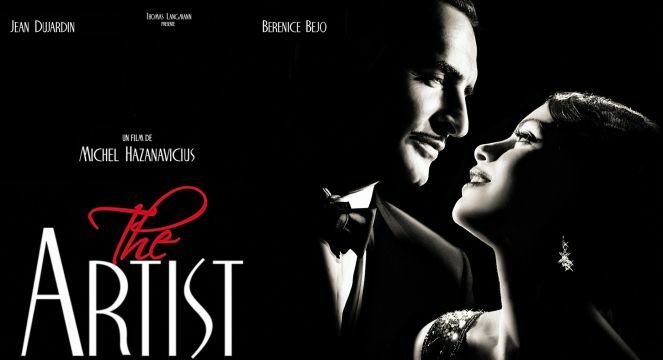 Little surprise that the Weinstein Co. snapped up UK and US rights to “The Artist”. Frenchman Jean Dujardin won the festival award as best actor for the black-and-white film as a silent-era Hollywood movie star faced suddenly with talking pictures. John Goodman, Malcolm McDowell and Penelope Ann Miller co-star in the film, directed by French filmmaker Michel Hazanavicius, who directed Dujardin in the spoofs “OSS 117: Cairo, Nest Of Spies” and “OSS 117: Lost In Rio”. There is no word yet on a UK release for the film, which The Telegraph critic said has “pure effervescence that gives crowd pleasing a good name”. Windmill Lane Entertainment signed major post-production finance deals with international directors and producers including Luc Besson’s EuropaCorp and Edward R. Pressman Film Corporation. The firm, a new division of Dublin facilities company Windmill Lane Pictures, will manage the Irish tax break for filmmakers that do postproduction there. EuropaCorp’s sci-fi thriller “Lock Out”, starring Guy Pearce, and Pressman’s “The Moth Diaries”, produced in partnership with Samson Films, Mediabiz and Strada Films, are among the titles involved. The British Film Institute announced that Chairman Greg Dyke has appointed Tom Hooper — Oscar-winning best director for “The King’s Speech” — to the body’s board of governors. The BFI board, which includes Film4 Head Tessa Ross and Warner Bros. Entertainment UK President and Managing Director Josh Berger, will develop a new strategy as it takes on most of the funding duties handled previously by the UK Film Council. Kaleidoscope Entertainment acquired UK distribution rights to a British pursuit thriller set in the Scottish mountains titled “A Lonely Place To Die” from Genesis Film Sales and Carnaby International. Co-written and directed by Julian Gilbey (“Rise Of The Foot Soldier”), the tale of five mountaineers who discover a young kidnapped girl hidden in a small chamber in the wilderness stars Melissa George (“Triangle”), Ed Speelers (“Eragon”), Sean Harris (“Harry Brown”) and Karel Roden (“The Bourne Supremacy”). Artificial Eye acquired rights to two films now in production by filmmakers who have won the Festival de Cannes’ Palme d’Or — “Amour” by Michael Haneke (“The White Ribbon”) and “Foxfire” by Laurent Cantet (“The Class”). “Amour” tells of two retired classical music teachers (Jean-Louis Trintignant and Emmanuelle Riva) whose lives change when the woman suffers a stroke. Isabelle Huppert and William Shimell co-star. Based on the Joyce Carol Oates novel of the same title, “Foxfire” deals with a group of five rebellious female teenagers determined to break away from their male-dominated culture in upstate New York in 1953. The Weinstein Co. and Yucaiba Co. won a Cannes bidding war for Pathe’s film biography “The Iron Lady” starring Meryl Streep as former Prime Minister Margaret Thatcher. Lionsgate International will handle worldwide rights to another Streep picture, “Great Hope Springs” co-starring Steve Carell and Jeff Bridges from Mandate Pictures. Soda said it also acquired from the Match Factory during Cannes rights to Andres Veiel’s “If Not Us, Who?” plus Sundance documentary “The Black Power Mix Tape” from WIDE and Baran bo Odar’s crime thriller “The Silence” from Bavaria Film International. Metrodome acquired three Fox International films screened at the Festival de Cannes for release in the UK and Eire including “Everybody Has A Plan” starring Viggo Mortensen from the producing team that made best foreign language Oscar winner “The Secret In Their Eyes”. Mortensen plays a man who assumes his dead brother’s identity with dangerous consequences in the film that marks the feature debut of writer and director Ana Piterbarg. The other films are Mexican action drama “Miss Bala”, which screened in the Un Certain Regard sidebar, and a thriller set in Bogota titled “Bunker”. Metrodome also picked up from Trustnordisk UK and Ireland rights to Petter Naess’ “Comrade”, a wartime drama set in Norway starring Rupert Grint and David Kross (“The Reader”), and Nicolaj Arcel’s “A Royal Affair”, about a young queen’s illicit relationship with the doctor who treats her mad king starring Mads Mikkelsen. Eureka acquired the Japanese film “Guilty Of Romance” for UK theatres in September and DVD in October plus “Harakiri”, “Sword Of Doom”, and the documentary “A Man Vanishes” also from Japan and “The Yellow Sea” from South Korea. This entry was posted in Festival de Cannes, Film, News and tagged David Gritten, Festival de Cannes, Harvey Weinstein, Marché du Film, Peter Bradshaw, The Artist. Bookmark the permalink.